mixedbag August 19, 2015 June 26, 2016 2 Comments on House Proud! I’m not a terribly creative person. I mean, all that DIY stuff on Pinterest just stays put on my boards, never sees the light of the day 🙂 But what I do have is an eye for beauty. As they say, if you can’t make it, buy it! (I said that actually, made it up just now). I’ve always loved decorating my house with beautiful classic pieces, some contemporary and some modern. 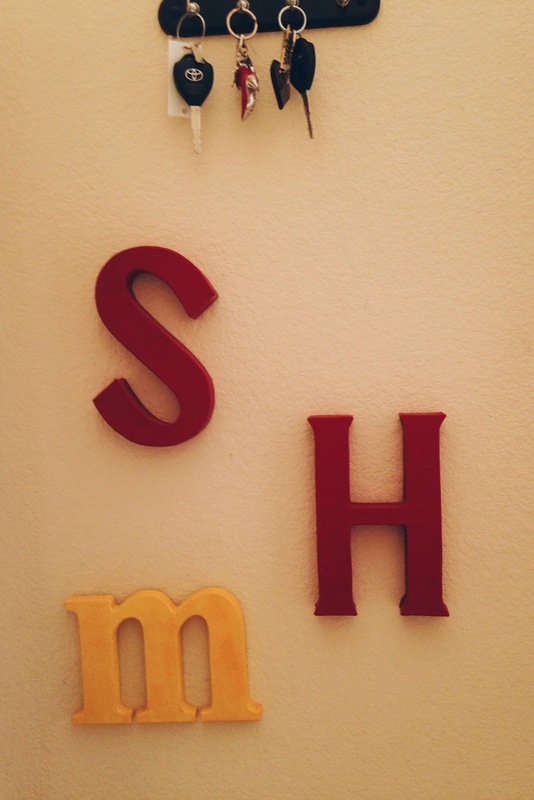 My visits to India have always got me some great home adornments. See my previous post on what I did with my shopping haul from India here. 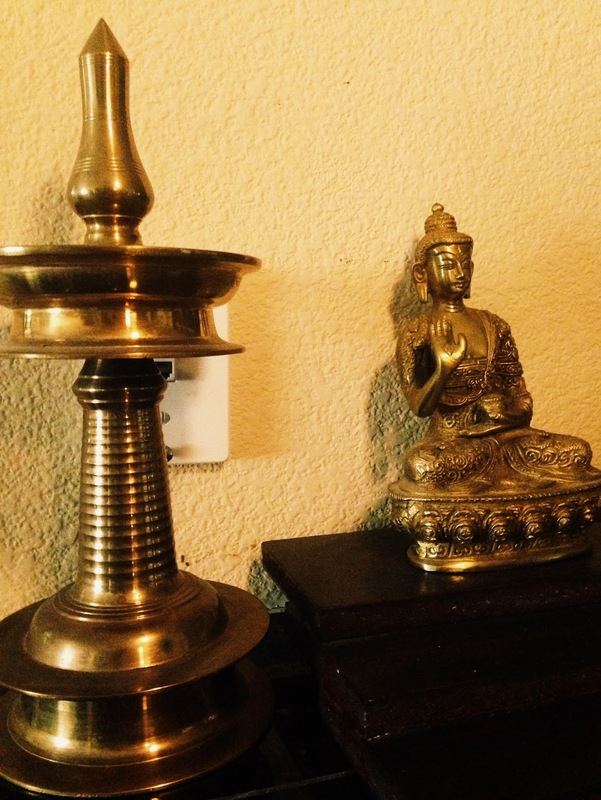 This statue of Buddha sits at our breakfast bar (which we almost never use). 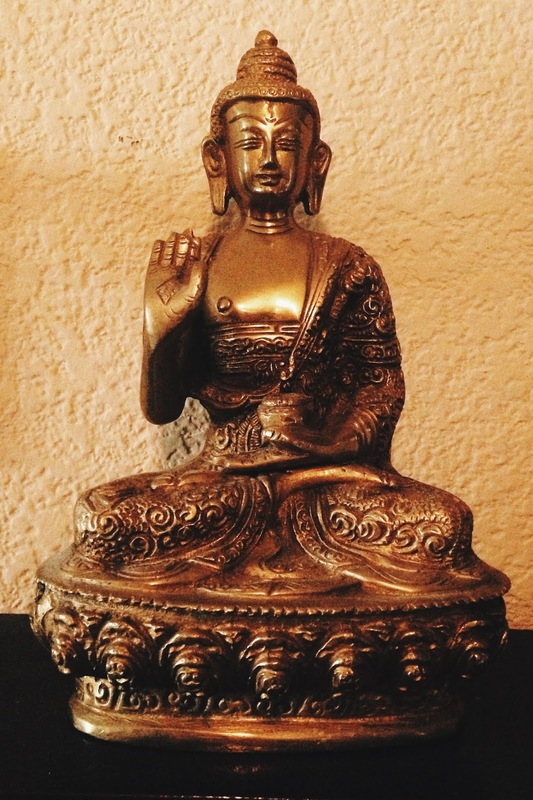 I’m a Buddhist by choice and I believe this statue adds serenity to our home. Whenever I’m in a hurry or stressed or confused, I just have to look at this statue to calm down. I bought this brass statue from Tulsi Baug in Pune. There’s an old antique shop inside the Ram Temple in Tulsi Baug. I also got these brass lamps (pic below) from the same shop. 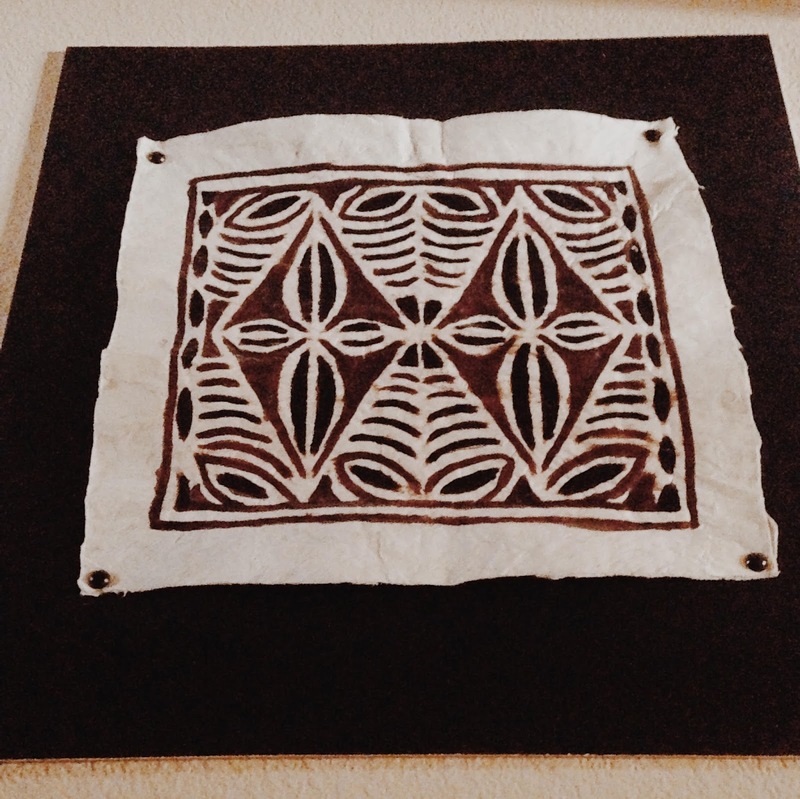 (pic above) is a tapa cloth I got from Hawaii. Tapa is made from the bark of the paper mulberry tree. It is dyed and stamped with gorgeous designs. Tapa Cloth is made and used in the Pacific islands and French Polynesia, mostly for religious ceremonies and weddings. (pic above) These are Madhubani paintings, gifted by my sister. She bought these at an exhibition in Bangalore. I love the bold colors and geometric patterns in them. Madhubani paintings originated from the Mithila region in Bihar (source : Wikipedia) and are made with natural dyes and pigments. 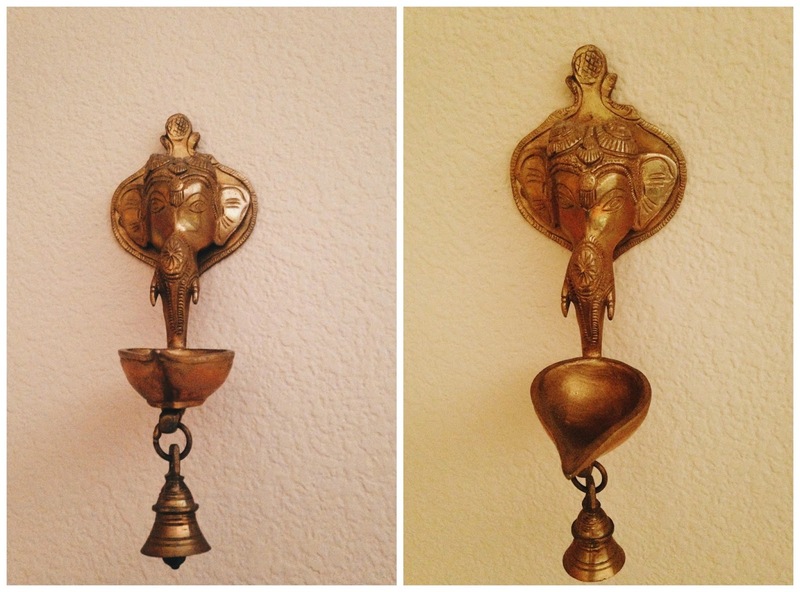 (pic above) A traditional brass lamp or deepam from Kerala. 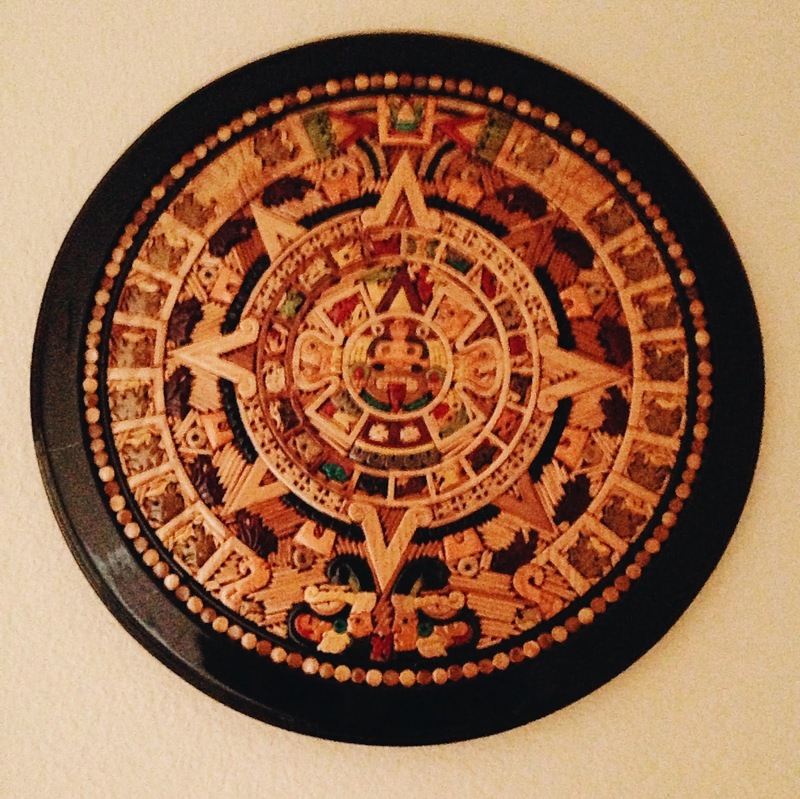 (pic above) We got this Mayan calendar from our trip to Puerto Vallarta, Mexico. A souvenir to remind us of the fantastic time we had there. (pic above) This is a clock made by my amazing daddy. 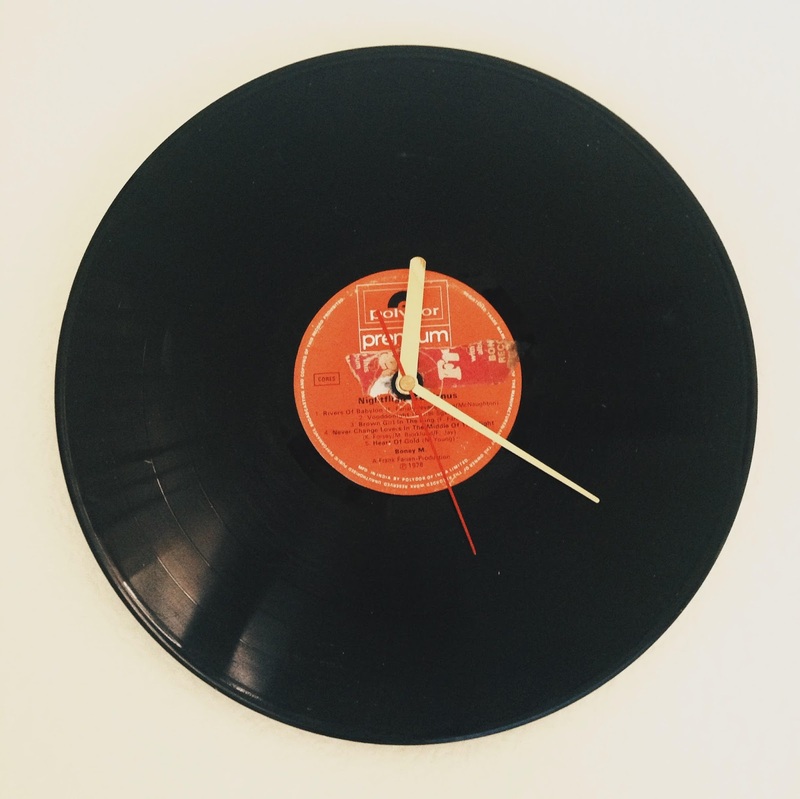 This is one of his old LPs, which he has so deftly transformed into a wall clock. Clock making is his hobby and used to be his profession before he joined the defence services. I think it looks super cool and modern. He left the old label intact on purpose, to give it a vintage feel. How did you like this post? Any favorites? Comment below! A lovely post. 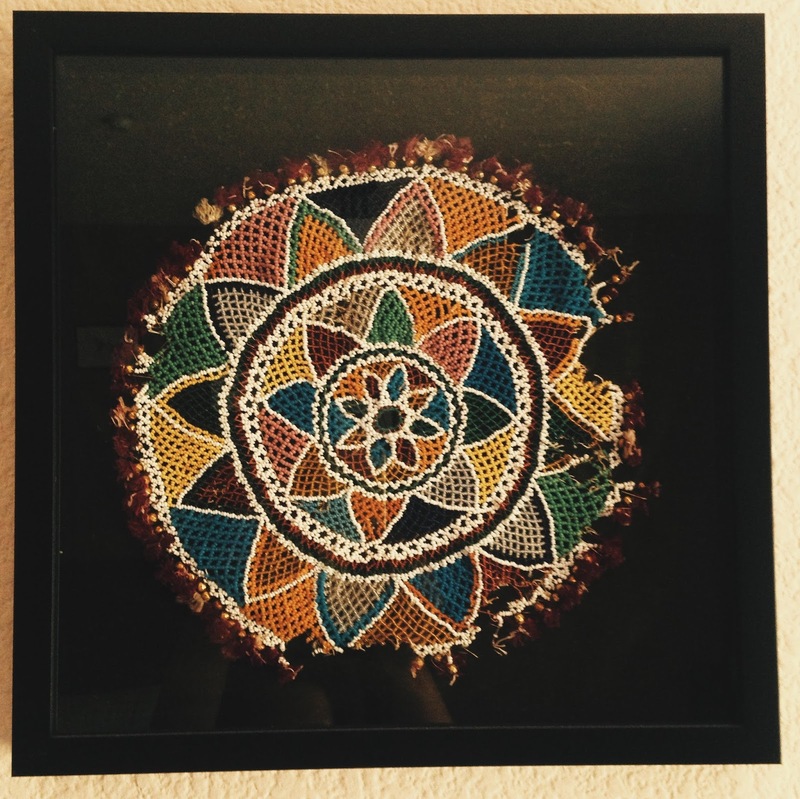 Your grandmother's art work is superb. Very precious. Thanks, Indrani! It is really precious 🙂 I'm so happy we could save her work!